* developed by Dr. Charles C. Rankin and others. STAGS continued to be developed by Dr. Rankin until his death in August, 2012. Many of the unique and sophisticated capabilities of STAGS described below have been or are now being added to the capabilities of the widely used commercial software, ABAQUS. The following text is included in the paper, “Optimization of an axially compressed ring and stringer stiffened cylindrical shell with a general buckling modal imperfection”, AIAA 48th Structures, Structural Dynamics, and Materials Conference, Paper no. AIAA-2007-2216, 2007. Tables and figures referred to here are in that paper. Research and development of STAGS by Rankin, Brogan, Almroth, Stanley, Cabiness, Stehlin and others, formerly of the Computational Mechanics Department of the Lockheed Martin Advanced Technology Center, has been under continuous sponsorship from U.S. government agencies for the past 40 years. During this time particular emphasis has been placed on improvement of the capability to solve difficult nonlinear problems such as the prediction of the behavior of axially compressed stiffened panels loaded far into their locally post-buckled states. STAGS has been extensively used worldwide for the evaluation of stiffened panels and shells loaded well into their locally post-buckled states. See , for example. A large rotation algorithm that is independent of the finite element library has been incorporated into STAGS . With this algorithm there is no artificial stiffening due to large rotations. The finite elements in the STAGS library do not store energy under arbitrary rigid-body motion, and the first and second variations of the strain energy are consistent. These properties lead to quadratic convergence during Newton iterations. Solution control in nonlinear problems includes specification of load levels or use of the advanced Riks-Crisfield path parameter  that enables traversal of limit points into the post-buckling regime. Two load systems with different histories (Load Sets A and B) can be defined and controlled separately during the solution process. Flexible restart procedures permit switching from one strategy to another during an analysis, including shifts from bifurcation buckling to nonlinear collapse analyses and back and shifts from static to transient and transient to static analyses with modified boundary conditions and loading. STAGS provides solutions to the generalized eigenvalue problem for buckling and vibration from a linear (Fig. 24) or nonlinear (Figs. 26, 27) stress state. Quadric surfaces can be modeled with minimal user input as individual substructures called "shell units" in which the analytic geometry is represented exactly. "Shell units" can be connected along edges or internal grid lines with partial or complete compatibility. In this way complex structures can be assembled from relatively simple units. Alternatively, a structure of arbitrary shape can be modeled with use of an "element unit". Geometric imperfections can be generated automatically in a variety of ways, thereby permitting imperfection-sensitivity studies to be performed. For example, imperfections can be generated by superposition of several buckling modes determined from previous linear and nonlinear STAGS analyses of a given case. (See Parts 4-7 of Table 9 and Figs. 24, 26, and 27, for example). A variety of material models is available, including both plasticity and creep. STAGS handles isotropic and anisotropic materials, including composites consisting of up to 60 layers of arbitrary orientation. Four plasticity models are available, including isotropic strain hardening, the White Besseling (mechanical sub-layer model), kinematic strain hardening, and deformation theory. Two independent load sets, each composed from simple parts that may be specified with minimal input, define a spatial variation of loading. Any number of point loads, prescribed displacements, line loads, surface tractions, thermal loads, and "live" pressure (hydrostatic pressure which remains normal to the shell surface throughout large deformations) can be combined to make a load set. For transient analysis the user may select from a menu of loading histories, or a general temporal variation may be specified in a user-written subroutine. Boundary conditions (B.C.) may be imposed either by reference to certain standard conditions or by the use of single- and multi-point constraints. Simple support, symmetry, anti-symmetry, clamped, or user-specified B.C. can be defined on a "shell unit" edge. Single-point constraints that allow individual freedoms to be free, fixed, or a prescribed non-zero value may be applied to grid lines and surfaces in "shell units" or "element units". A useful feature for buckling analysis allows these constraints to differ for the pre-buckling stress and eigenvalue analyses. Langrangian constraint equations containing up to 100 terms may be defined to impose multi-point constraints. STAGS has a variety of finite elements suitable for the analysis of stiffened plates and shells. Simple four node quadrilateral plate elements with a cubic lateral displacement field (called "410" and "411" elements) are effective and efficient for the prediction of post-buckling thin shell response. A linear (410) or quadratic (411) membrane interpolation can be selected. For thicker shells in which transverse shear deformation is important (and for the thin-shell cases described in this paper), STAGS provides the Assumed Natural Strain (ANS) nine-node element (called "480" element). A two-node beam element compatible with the four node quadrilateral plate element is provided to simulate stiffeners and beam assemblies. Other finite elements included in STAGS are described in the STAGS literature [1-7]. Graphic from blah blah, more blah blah. A more detailed abstract on STAGS. STAGS (STructural Analysis of General Shells is a finite element code for general-purpose nonlinear analysis of stiffened shell structures of arbitrary shape and complexity. Its capabilities include stress, stability, vibration, and transient analyses with both material and geometric nonlinearities permitted in all analysis types. STAGS includes enhancements, such as a higher order thick shell element, more advanced nonlinear solution strategies, and more comprehensive post-processing features such as a link with STAPL, a postprocessor used to generate figures that display undeformed and deformed STAGS models. Research and development of STAGS by Rankin, Brogan, Almroth, Stanley, Cabiness, Stehlin and others, formerly of the Computational Mechanics Department of the Lockheed Martin Advanced Technology Center, has been under continuous sponsorship from U.S. government agencies for the past 40 years. During this time particular emphasis has been placed on improvement of the capability to solve difficult nonlinear problems such as the prediction of the behavior of axially compressed stiffened panels loaded far into their locally post-buckled states. STAGS is fundamentally a finite element code for general-purpose analysis of shell structures of arbitrary shape and complexity, with additional capabilities for analysis of solids and other types of structural configurations. Shells to be analyzed by STAGS may be thin or thick, unstiffened or stiffened, with stiffeners modeled either as beams or as shells. The availability of numerous wall-fabrications and stiffener-cross-section options combined with a variety of material models permits tremendous flexibility in modeling a wide spectrum of construction types. Analysis capabilities include stress, stability, vibration, and transient analyses, with both material and geometric nonlinearities permissible. STAGS has a long and distinguished history starting in the late 1960’s in the Lockheed Missiles and Space Company’s Research and Development Division (R&DD) as a company-sponsored research code to study the stability of shells and continuing to the present at Lockheed-Martin’s Advanced Technology Center. The primary goal of the STAGS group at Lockheed and at Lockheed-Martin has always been to achieve the best shell stability code available anywhere. Research with and development of STAGS has been under continuous sponsorship from U.S. government agencies and Lockheed’s Independent Research program from the beginning. Almroth, B. O. and Brogan, F. A., The STAGS computer code, NASA CR-2950, NASA Langley Research Center, Hampton, VA., 1978. Rankin, C. C., Stehlin, P., and Brogan, F. A., Enhancements to the STAGS computer code, NASA Contractor Report 4000, Contract NAS1-16723, November 1986. The research conducted during the last three years has greatly enhanced the power of the STAGS family of programs. Members of this family include STAGS-Cl and RRSYS. As a result of improvements implemented during these last three years, it is now possible to address the full collapse of a structural system, up to and beyond critical points where its resistance to the applied loads vanishes or suddenly changes. This also includes the important class of problems where a multiplicity of solutions exists at a given point (bifurcation), and where until now no solution could be obtained along any alternate (secondary) load path with any standard production finite-element code. Formerly, when rotations for any part of a collapsing structure exceeded the small rotation regime (less than 10 degrees), finite elements in that region of the structure displayed unpredictable behavior that arose out of a violation of the basic assumptions concerning deformations within the individual elements. All elements in STAGS suffered to some degree, with the more economical elements (such as the SH410 shell element) locking almost completely as rotations grew. Now, the latest version of STAGS-C1 includes an element-independent corotational formulation for all static nonlinear collapse analyses that virtually eliminates all problems related to large-rotations for small strain problems. Some of the remaining improvements to STAGS-C1 include a postprocessor that generates secondary solution data (strains, stresses, and resultants) from previously-saved primary data (displacements, velocities, eigenvectors, plastic strains). This postprocessor eliminates the need for saving bulky secondary data that may or may not later be needed for printout or display (e.g. STAPL). A new data translator formats primary solution data created on one type of machine (such as a CDC or CRAY) for simple transfer to another machine (like a VAX/VMS) for local, interactive, and inexpensive postprocessing or solution restart. Thin cylindrical shells in compression buckle explosively as is known from numerous experiments. What happens visually during the buckling phase has been revealed only in some isolated instances where high speed video recordings were made of these phenomena. But as far as it is known the actual buckling process of a cylindrical shell has never been numerically simulated. We believe that the most likely reason for this is that the whole arsenal of computational tools that are necessary for this task were not yet available at the time such calculations were contemplated. But now the situation has changed. The potential of present day finite element software and the power of computer hardware have increased so much that the restrictions mentioned above no longer exist. To illustrate this point we present here the numerical computation of the collapse process of a cylindrical shell under prescribed edge displacements. The shell that we chose for our computational experiment was manufactured, measured and tested some twenty years ago by Singer, Arbocz and Babcock under carefully controlled conditions in a laboratory environment. This figure shows the static and dynamic buckling process of a graphite-epoxy composite cylindrical shell under uniform end shortening. The cylindrical shell was geometrically imperfect. The imperfection shape was carefully measured. A Fourier representation of these measurements consisting of a 24 x 90 term series was used in the STAGS model. (a) Static equilibrium load step number 7 (just before collapse); (b) step 160 (transient phase of the STAGS analysis; (c) step 285 (transient phase of the STAGS analysis); (d) step 384 (stable post-transient state of the shell as predicted by STAGS. This stable post-buckled shape agrees with that observed in the experiment.) Two intermediate transient states: (e) step 160 again, viewing the cylindrical shell from the opposite side from that viewed in (b). This frame demonstrates that the buckles have just begun to propagate into the statically unbuckled region. (f) step 245. The buckles have propagated into the initially statically unbuckled region. This paper is an investigation into the merits of a hybrid procedure for the numerical simulation of transient buckling problems. The procedure consists of the combination of a classical path-following method with a transient integration method where the first method is used for the quasi-static (stable) parts of the simulation and the second method for the parts of the simulation that belong to the transient domain. It is shown that the success of the procedure is guaranteed by a proper formulation of the so-called matching conditions that define the transition from one mode of operation to the other. The chosen strategy turns out to be very robust and it has as an added advantage that it can be applied with relative ease. The power of the approach is demonstrated with the presentation of two simulations: The mode jumping problem of a plate strip and the collapse of a thin-walled composite cylinder in compression. Rankin, C. C., Brogan, F. A., Loden W. A., and Cabiness, H. D., STAGS User Manual – Version 5.0 , Rhombus Consultants Group, Inc., Palo Alto, CA. Revised January 2005. Previously Report No. LMSC P032594, Lockheed Martin Missles and Space Company, Palo Alto, CA., June 1998. Rankin, C. C., Application of Linear Finite Elements to Finite Strain Using Corotation, AIAA Paper 2006-1751, 47th AIAA Structures, Structural Dynamics, and Materials Conference, 2006. Corotation methods have had great success in extending off-the-shelf element kernels to handle seamlessly large-deflection, large-rotation response with the limitation that strains must remain moderate. Element-independent methods promote element reuse by separating necessary operations that filter out rigid rotation and enforce element self-equilibrium from other, element-specific tasks. The current paper presents a method that preserves element independence while at the same time removes the limitation of moderate strains, based on polar decomposition of the deformation state at the element centroid. The paper will begin with a short review of the foundations of corotation, followed by a detailed derivation of the new method, with close attention to preserving element independence. The efficacy of the method will be demonstrated with several cases of hyperelastic response with huge strains. A comparison will be made between elements with linear strain-displacement kernels and Green’s strain, with almost identical results. Rankin, C. C., The use of shell elements for the analysis of large strain response, AIAA Paper 2007-2384, 48th AIAA Structures, Structural Dynamics, and Materials Conference, Hawaii, April 2007. Last year we demonstrated that Element-Independent Corotation based on polar decomposition at the element centroid permits analysis of systems undergoing large-strain response with standard off-the-shelf elements originally designed for moderate strains. This capability has implications for a wide variety of problems of special importance to aerospace structures, many of which consist of thin members best modeled by shell elements, where a plane stress and linear through-the-thickness strain variation approximate quite closely the actual response. Given the motivation to minimize problem size and computer resource requirements, it is very desirable to have shell elements that can handle large membrane strains and at the same time faithfully reproduce plane stress response in the presence of severe thinning of the shell cross section. In this paper, I shall present our strategy for computing results presented last year for shells. I shall demonstrate superior accuracy and convergence properties for large strain response for a variety of standard shell elements with and without transverse shear deformation. B. O. Almroth, F.A. Brogan, and G. M. Stanley, User’s manual for STAGS, Vol. 1: Theory, NASA Contractor Report 165670, Contract NAS1-10843, March 1978. This is a document for an earlier version of STAGS. Users, especially those at NASA Langley Research Center, have found it useful in addition to the more recent documents listed above. B. O. Almroth and E. Meller, Structural analysis of general shells: Example cases for STAGS-C, Vol. III (preliminary and incomplete), , , January 1977. 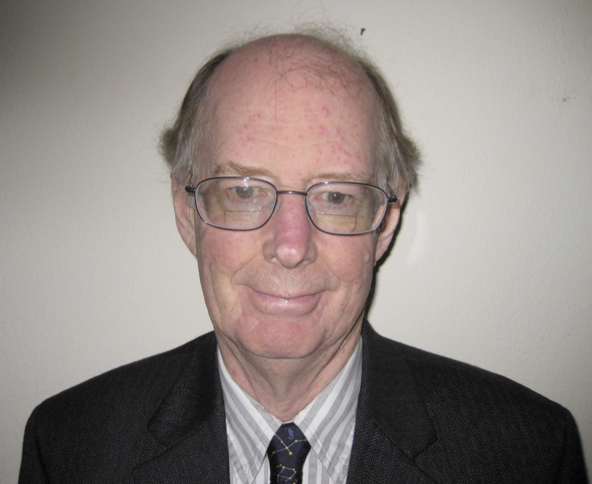 Charles Rankin is known for his salient fundamental contributions over more than 30 years to the field of solid and structural mechanics. All of these contributions have been formulated by Charles and implemented into his general-purpose nonlinear static and dynamic finite element code called STAGS (STructural Analysis of General Shells), widely used especially at NASA Langley Research Center. Charles was no mere programmer implementing into a code the mechanics theories of others; he developed these theories mainly by himself. Many of Charles’ fundamental contributions are now finding their way into the most widely used commercial structural computer programs such as MSC_NASTRAN, ANSYS and ABAQUS. In this way Charles’ important original contributions will for the foreseeable future have a major impact on research and engineering in academia, government and industry. Unique nonlinear material models in separate “material modules” which are independent of the rest of the software. Charles was a great man, loved by many for his great sense of humor, respected by many for his towering intellect and superb accomplishments in the field of structural mechanics. He will remain forever in the minds and hearts of his many friends and colleagues.